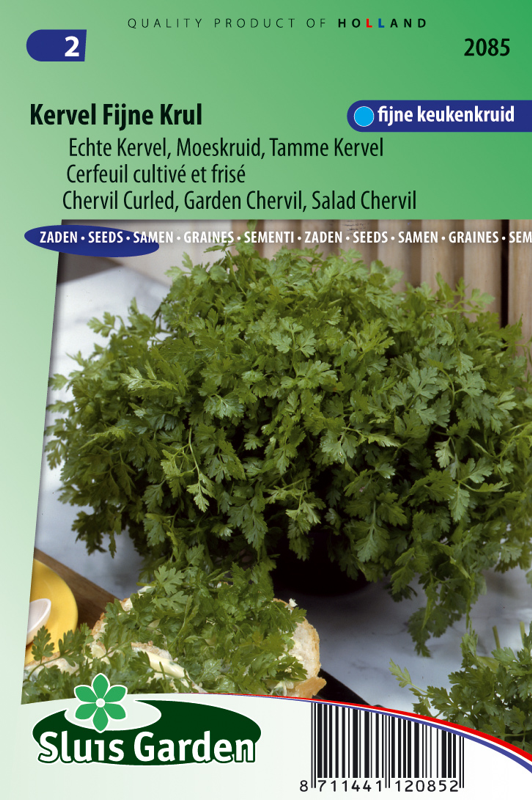 Chervil has a rather special flavour (aniseed). 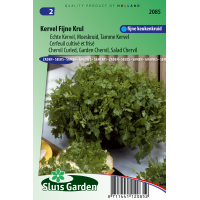 This and its pleasant aromatic fragrance make it one of the "fine herbes". A very well known kitchen herb, which together with vegetables and/or herbs (for example parsley) gives an extra taste bonus and is, of course, essential in Chervil soup. Sow in the garden. Hardly cover the seeds, press lightly and if required transplant later. Can also be grown as a winter culture indoors.